What Are the Benefits of Graphic Organizers in Elementary Language Arts? Pairing up students to discuss a text can help develop reading comprehension. 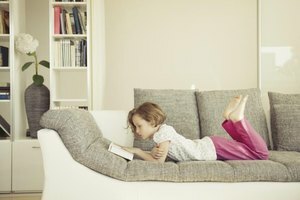 While reading comprehension comes naturally to most adults, children must develop the skill. Students must make a leap from understanding and reading the individual words on a page to understanding the text as a whole, including where it takes place, what’s happening and how the parts relate to the whole. 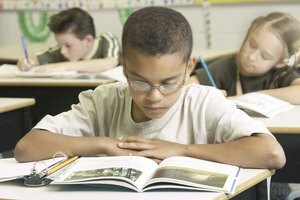 Several in-classroom activities are designed to help fourth graders with reading comprehension. Drawing and writing character portraits enables students to delve into a text and analyze characters' actions and internal dialogue. After choosing a character from a book, have students draw and color a portrait of the character’s head. On another sheet of paper, students draw an outline of the head and write thoughts, feelings, motivations and attributes inside the head outline. After it's completed, students should staple the colored portrait on top of the thought portrait. When students read each portrait, they can open the flap to read the character’s thoughts. 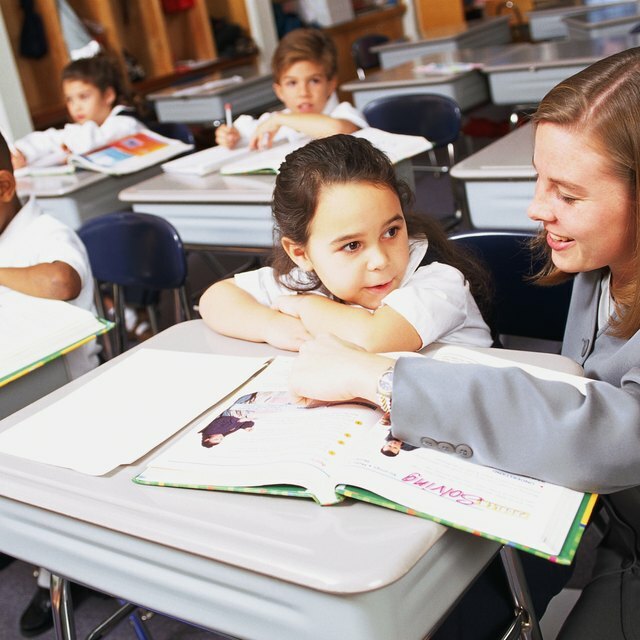 Questioning the author helps students analyze the author’s intentions or methods, solidifying the students’ understanding of a text's characters, setting or themes. This activity forces students to think critically outside of the obvious information provided in a text and determine their own opinions. Choose a particular passage from a text and ask students about the author’s strategy. 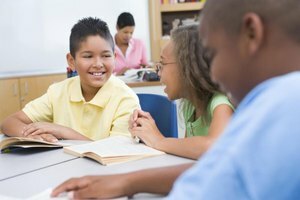 You may ask, “What is the author trying to say?” or “Why do you think the author used that phrase?” Students can even write a short in-class paragraph on why an author used certain words or imagery. The post-it note activity helps students identify important and interesting information while they’re reading. During silent reading, have students keep post-it notes labeled “LOL” to mark funny passages, a star for important passages, an exclamation mark for surprising passages, a thought bubble for a passage that made them think and a heart for a favorite passage. After students have marked passages during silent reading, have them share passages with a partner, explaining why they chose the passages they did. Walton, Ashley. "Fourth Grade Classroom Activities for Reading Comprehension." Synonym, https://classroom.synonym.com/fourth-grade-classroom-activities-reading-comprehension-28880.html. 26 September 2017.